Why is a Retail POS Software important for your business? Retail Point-of-Sale (“POS”) software is normally used at checkout points where the transactions take place. Something similar to electronic cash registers, these systems can also be used for generating receipts and vouchers. This POS software is a simple machine that provides great support to business owners. This is because the system calculates and manages all merchandise purchases by calculating the quantity of the actual merchandise sold and the price of it. This remarkable computer software technology is designed to be of great assistance to businesses by helping them to operate more successfully and efficiently. The advancement in computer technology allows for integration of software programs to the POS systems. This has given business owners the ability to keep an eye on all aspects of their business, including improved inventory tracking and more effective use of customer data. This results in reduced waste, decreased store efficiencies, money savings and improve customer service and hence increased customer satisfaction. Who uses a Retail POS software in Singapore? Many different industries use a POS system to account for their product inventory movement. Hotels use a system to allow charges to be charged to the rooms like gift shop purchases, drinks, and movies. Restaurants use a system to place orders on a touch screen, make checks and print the bills. Hospitality systems use it to generate payroll, bookkeeping and track sales. Some systems send records back to the corporate office so that company owner can keep track of profits. Most people do not even think about the system that rings them up. 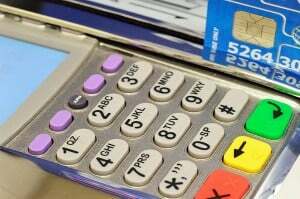 If you have been to a major retailer like Metro, Tangs or NTUC, then you have come in contact with a POS system. The receipt that you get that calculates the items and tells what department the items are in, is probably a POS system. Identifying Trend – With a fully functional retail POS software, you will be able to extract the sales and expense data. You will be able to track the products that are selling well and prepare to backorder should your inventory level drops significantly. As this is a computerized application, all the data retrieval can be done instantly and efficiently. With historic monthly data available, the reports that you can churn out will provide you with insightful sales trends of products which can help you decide if there are any trends such as change in tastes and seasonal effect. If it is part of an enterprise resource planning system, you can get even more detailed analysis across different segments or performance metrics. Accounting for inventory change due to customer and employee theft – One of the common issues faced by retailers are shoplifting by customers or internal personals. If the theft is committed by an employee, the store manager or business owner will be able to match the staff duty roster with the sales information to identify any suspicious and unaccounted transaction. If the store has a closed circuit television, it will be able to provide corroborating evidence to prosecute the staff. The POS software certainly acts as a strong deterrence against theft. Providing a measurement for sales performance – An advanced retail POS application will provide a reliable measure of staff sales performance as it is able to track and tagged transactions due to specific employees. As the information can be easily made available, it gives a timely feedback to the sales team so that they can take appropriate measures to meet their targets. The computer technology also offers many store owners the ability to organize employee hours and reduce management costs. In addition, the system allows business owners to implement marketing strategies that are included as part of the software package. These strategies include gift cards and membership cards can incentivize customers to make repeated purchases at their stores. Using a retail POS software offers any business owner the opportunity to reach new levels in marketing, organization, and sales. i) One popular accounting and billing software option that allows integration to POS in Singapore is QuickBooks Online, with affordable monthly fee. It is easy to use and the mobile app version allows you to do business even when you are out of your retail store, saving you time. It also allows integration to your e-commerce website, allowing you to manage the inventory (in the retail store and online) in one system. ii) Our off the shelf software, MYOB is one of the most sought after accounting software in Singapore, Australia and New Zealand and is a highly reputable software expert. With superior customer support, should you encounter issues after your purchase, help is just a quick phone call or email away. MYOB Premier Plus offers advanced accounting and billing features that can be integrated with your POS features or barcode scanner. The software caters to Multi Currency-Transactions, Multi-Users, Time-Based & Tracking and Payroll. If your company has specific business needs, we will provide tailored retail POS software solutions to specially meet your business requirements. We will have a non obligatory meeting with you, to have a detailed discussion to better understanding of your current process. We will thereafter provide recommended solutions to meet your Company’s needs. Contact Us (click here) now to ask about using our solutions for your business today!